Indications: Treatment of severe acne by suppressing oil gland secretions. 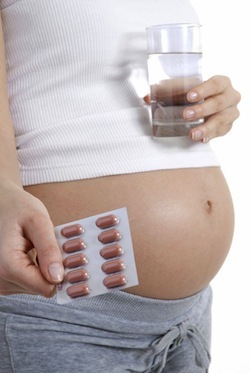 Summary Recommendations: Accutane is not to be prescribed to pregnant women. Birth defects have been noted in live births. If you are taking Accutane and find out you're pregnant, you must discontinue use immediately and consult your doctor THAT SAME DAY. Patients taking Accutane should not take multivitamins that contain vitamin A. All female patients must agree to use multiple forms of birth control and have regular pregnancy tests during treatment. The drug isotretinoin is most often prescribed as Accutane. Other name brands include Sotret, Amnesteem and Claravis. General Precautions: Patients should take Accutane exactly as instructed by their physician. The prescription must be filled no later than seven days after being written and only 30 days of treatment will be prescribed at one time. Women must have a pregnancy test 30 days before starting treatment, every 30 days while taking treatment and 30 days after stopping treatment. Medical history is extremely important – so complete honesty is needed before filling your prescription. A history of depression, mental illness, high cholesterol, heart disease, bone disorders, intestinal disorders, asthma, diabetes, anorexia or liver disease can interfere with your treatment with Accutane. Accutane must be taken with milk or food. You cannot chew on the medication or allow it to dissolve in the mouth. Liver function testing may be required during treatment. Accutane should not be taken with multivitamins or supplements that contain vitamin A. Hair removers and other skin treatments like laser skin resurfacing or dermabrasion are contraindicated during treatment. Limit contact with UV rays by using sunscreen or sunblock. Accutane may be contraindicated if you are taking tetracycline antibiotics, seizure medication or steroids of any kind. Effects While Trying to Conceive: Accutane does not affect male fertility, but the drug should be discontinued a minimum of 30 days before attempting to conceive if you are a woman. Women should never take Accutane while trying to conceive. Effects on Pregnancy: Female patients taking Accutane must be a part of the iPLEDGE program. This program aims to prevent birth defects associated with the drug. Just one dose of Accutane can cause severe birth defects, so pregnancy testing is required before, during and after treatment. Women taking Accutane agree to use two forms of birth control - primary and secondary. Primary birth control may include IUD, tubal ligation and vasectomy. Though satisfactory at preventing most pregnancies, primary birth control is not enough and must be paired with secondary birth control like condoms, vaginal sponge or cervical cap. If Accutane is taken during pregnancy, the likelihood of severe birth defects, including deformities of facial structures, heart and brain are increased exponentially. Safe During Breastfeeding: There are no medical studies on breastfeeding while taking Accutane. Alternative therapies are available.